Ringing in the New Year with something old. 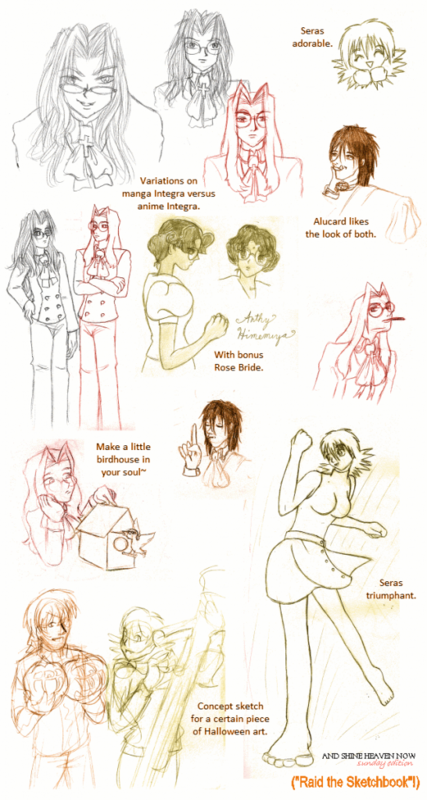 – Variations on manga Integra versus anime Integra. – Alucard likes the look of both. – With bonus Rose Bride. – Concept sketch for a certain piece of Halloween art.